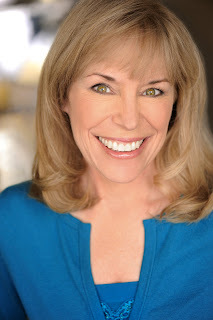 LUCY BURDETTE: Today I'm so happy to introduce/reintroduce our friend Daryl, whom you all probably know as Avery Aames of the famous cheese shop mysteries. 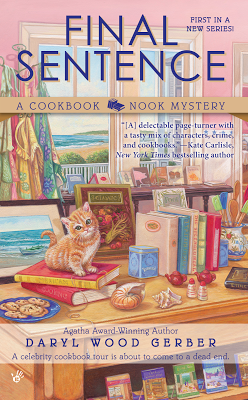 She's been having a ball researching her new series--which you can tell if you follow her posts on Mystery Lovers Kitchen. Welcome Daryl, congrats on the new book--and tell us more! I flipped around the more familiar title because sometimes that is what I need to do when I write. Look at something from a different angle. Step outside my comfort zone. See what is really there and not what I expect to be there. 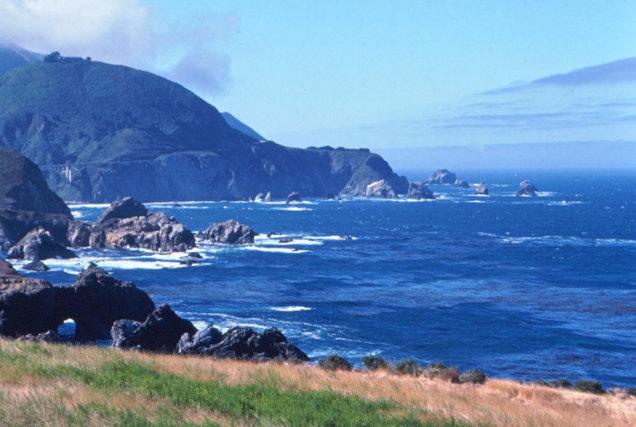 This awareness came to me while I was driving north up the coast of California to do research for the first in what I hope to be a long and prosperous new series: A COOKBOOK NOOK MYSTERY. The series is set in the fictional coastal town of Crystal Cove and features Jenna Hart, a culinary bookshop owner who is an avid reader and admitted foodie. 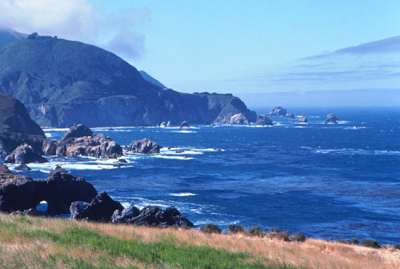 I had driven up Highway 101 and Route 1 many times. I live in Los Angeles, but many of my family live in northern California. These are familiar routes. There is beautiful countryside. However, this time as I was driving, I noticed more. Because I was doing research, I paid attention to every winery, store, and house. I noticed which barns were in good stead and which were neglected. I noticed the terrain and its texture, which hills were gold, which trees were green, what needed water and what was thriving. I read signs. I now know where every fruit stand is along these roads. I also know that one farmer had a great sense of humor—he painted huge signs telling people what trees he had planted. You know what I mean…you drive along and say, what’s that, an almond tree? The trees were citrus and, according to the farmer, we do better if we eat more citrus. I saw a huge…HUGE… American flag hanging from a pole on private property. Wouldn’t you love to know why? It wasn’t like it was a former president’s abode. I counted all the hothouses that protected orchids. I noticed parks, racetracks, and golf courses. As I toured the area between Monterey Bay and Santa Cruz, which is where I’ve set my fictional town, I took note of the gentle valleys to the right and all the signs with images of hikers and bikers. California is super friendly to outdoorsy types, by the way. What I particularly loved, as a result of this research, was that I became connected again with my state. I adore California, but I have taken it for granted. The majestic mountains, the rolling hills, the fabulous blue coastline. In addition, I realized I need to pay more attention to people. Lately, I have been doing my darnedest not to tune out everyone. I look at people. I make eye contact. I make mental notes of their style, their moods, and their quirks [great info for a writer]. And I smile just to see whether they will smile back…most will; many think I’m loco. What have you noticed lately that surprised you? Was it always there? Are you aware when you zone out? DARYL WOOD GERBER aka AVERY AAMES writes the Agatha Award-winning, nationally bestselling Cheese Shop Mystery series. 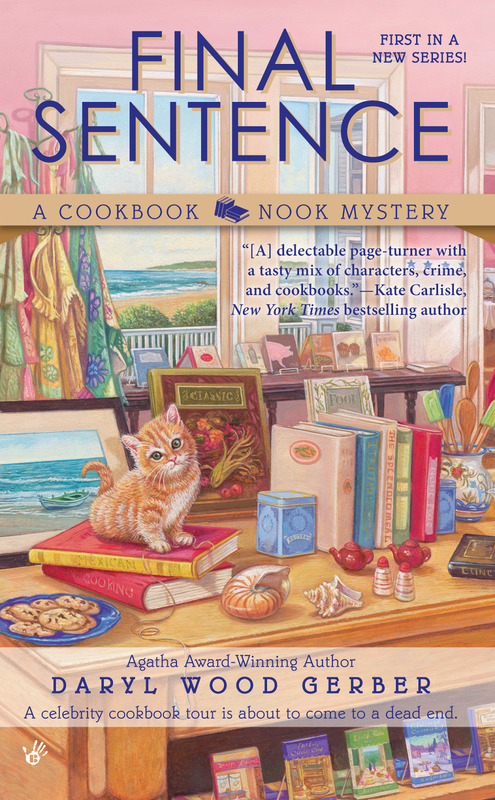 As Daryl, she writes A Cookbook Nook Mystery series, featuring a culinary bookshop and café owner. Daryl’s short stories have been nominated for the Agatha, Anthony, and other awards. As an actress, Daryl has appeared in “Murder, She Wrote” and more. Check out her recipes on her blog and friend her on Facebook. I love the sound of your new Cookbook Nook series. Sounds like it should be a terrific success! Your question has perfect timing for me today. A little earlier I went out to the garage to check the clothes dryer. My service dog Kendall pointed out a large wormlike buggish creature sticking out of a small hole in the wall by the floor. I had never noticed the hole before. The wormy thing looked dead, so I got a little stick and tried to pull it out of the wall. It got longer and longer. After about 6 inches I realized it wasn't a worm or anything like it. It was a snake. And it was not dead. I let go of the stick and backed up. So did the snake. I went back later to see if he was still there. He was. He is. He is right there by the dryer with his cute little nose sticking out of the hole lying in wait for something to eat. If anyone out there has pull with the universe could you please put in a request for me? All I want is a boring day. Please. Just one boring day would be very nice. LOL Reine--that must have been a fright for both you and the snake!! LISA ALBER, You are the winner of the books from yesterday. Please shoot me an email lucyburdette at gmail dot com and I'll put you in touch with Lori. Congrats! Welcome Daryl! And congratulations on the new series!! So interesting how differently strangers treat one another in different parts of the country. In California, hiking on trails EVERYONE greets everyone else. Eye contact, warm hello. Here in New England it's chillier in every way. And NO eye contact in NYC. But in NYC, pause and look confused on a street corner and I've found within a minute someone has stopped to ask if I need directions. I think it's true of most of us who drive the same route regularly. You just begin to take it for granted I guess. Recently, I was driving my normal route to work, but this time I had a co-worker who needed a ride with me. As she was pointing out things along the way, I was like "huh, I never noticed that before." All it needed was a new person to see it, and now I can enjoy it in a new way as well. Reine, ewwww. I hate snakes. Me and Indiana Jones. Ew. I hope it goes away. I'm pulling for you for California. Kristopher, fresh eyes. Always makes a difference. That can make a huge different to an author, having a reader with "fresh eyes" to see where the pitfalls of a manuscript are. We all appreciate our readers. And YES I've had more than a few close encounters in NY. Between the flashers and the woman who used to stand in the phone booth on our corner screaming to herself... it can be interesting. I love just sitting on the subway with my little notebook, taking down the details. Two mornings a week before I go to work, I have a PT appointment. I get there 20 or so minutes ahead of time so I can walk on their treadmill for a little while to warm up. The treadmill is in the window. In the spring I get to see mockingbirds flying back and forth with nesting materials; a couple of weeks ago I observed a pair of mockingbirds in the middle of the street, with the male in his "hey, wanna come over to MY place" mode. A truck came by and the darn birds didn't move right away! I wanted to yell out the window "get a tree, for heaven's sake!" There's a mom who walks by the PT place with her little boy, taking him to the bus stop. Sometimes he carries a violin case; I always wonder if he enjoys his lessons. Last week we had at least four consecutive days of rain. On Friday I saw him out on the street, hopping over puddles with the most earnest expression on his face - totally wrapped up in what he was doing, while Mom followed along, talking on her cell phone. His expression was so sweet that it brought tears to my eyes. Daryl, congrats on the new series! We went for a short hike on trails next to a state park last weekend, and it was interesting to note how the locals all said hello -- whether we knew them or not -- and the tourists all avoided eye contact. But I bet they just got here -- by the time they go home, they'll be raving about how friendly peeps are in Montana! Deb, love that image of the little violinist hopping the puddles! I am so lucky to live in a place where I can choose my routes for errands to include views of Vineyard Sound or beautiful woods or flowery yards. I do try to notice, especially when driving along the beach. Mindfulness! I have driven Route One in California three times, and would love to do it again!!! I also pledge to get out of the car and walk through God's beautiful world. To Reine: I lived in an apt where you walk thru a little planted courtyard to go upstairs. It was full of the Fla lizards "anoles" and I liked to try to touch their tails to see them jump. So one afternoon I reached down with my car key to touch this 5 inch lizard's tail and he turned around and bit the key. My friend dumped some stuff out of a small box in her tote bag and we scooted him into the box, got back in the car, and took him to a pond near the library where he would be happy with the rest of the alligators. Deb, those are lovely stories and observations. I laughed out loud with "get a tree!" Too funny. Leslie, thanks. I'm very excited about the new series. I bet you're excited about yours, too! Congrats. Denise Ann, how lovely to live in such a beautiful area. It does make life so much easier when you can see beautiful nature on a daily basis. Silver Babs, oh, my!!!! A baby alligator that looked like a lizard. Made me get goosebumps. How sci-fi scary. Cookbook Nook is such a snappy name for a series. I love it! For years, I'd travel a mile out of my way to cross the freeway when there was an overpass across the street from where I worked. I couldn't believe it -- it was right there! For years, I didn't notice that there was a post office annex in my local grocery store. I do that all the time. Walk into a room or notice kids have grown or different stuff on a familiar route when someone else drives. Congratulations on your Cookbook Nook series! I can't wait to experience Crystal Cove and meet Jenna in Final Sentence. July 2, yes? What a wonderful description of your research trips along the coast! Is Cabot Cove based on one town in particular or a combination of all the charming towns on the ocean? Lisa, glad you like the series title. I think it has a nice ring to it. (Though at times it can be a mouthful LOL) I, too, realized there was a post office closer than the "big" one near me. Took me about a year to spot it. Pen, I hate when cyberspace eats my posts! Hate it. :) I definitely notice more when someone else is driving. No question about it. Rochelle, Crystal Cove is an amalgamation of a number of little towns along the coast of California. Newport Beach, Carmel, Santa Barbara, and all points in between. I love the town. I'm making a map at this very moment because I've populated the town with so many shops! Amazing how it comes alive in my head. Hi Daryl! Congrats on the new series! Nothing more fun than food, books, and a mystery. And I love your part of CA. And thanks for the reminder to "notice." My brother is here visiting from NZ, and you do notice things you ordinarily take for granted when you're showing someone else around. Daryl, good luck with the new series. It looks like fun. My daughter has dragged me out to run with her again and I'm seeing that the park is a lot bigger than it used to look. SilverBabs... an alligator? You picked it up? And brought it some place more congenial? With other alligators waiting to eat you? You are so brave. I'm definitely a drop-your-stick-and-run person! Daryl... I am so speechless. He had a knife? He had a knife! A knife! Worse than a gun... . But thanks for the California vibes. Everyone knows they're the best! Hallie, you are so very right about differences in saying hello and making eye contact in New England. Fall orientation brought a stream of new students to my office, some in tears, because when they walked across campus no one saw them, did not look up, or want to see them. I was advised to normalize such experiences for students. But you know, that's practically impossible, so I spent a lot of time walking around saying hello to the first-years. After a while they had lots of friends saying hello to them, but that first semester was a killer. Oh Debs... the snakes little hole is right beside the door from the kitchen to the garage which has, not just the laundry, trash, recycling bins, my wheelchair exit ramp, but actually a car. I looked this morning and the snake was not peeking out of the hole. I don't know where he is. I am pretty sure he is not a rattlesnake, because I've never seen one play dead. Please, no one tell me any stories about rattlesnakes that play dead. But it's like when you see a movie you've already seen--with someone who hasn't seen it! YOu can see it through their eyes, right? I love that! Well, huh, I posted to Deb, Darlene, Reine and Hank and for some reason it never posted. Huh! Thank you all for chiming in! Hi, Hank, yes, I'll be at CCWC today!! See you there. Holy slice and dice, Daryl!